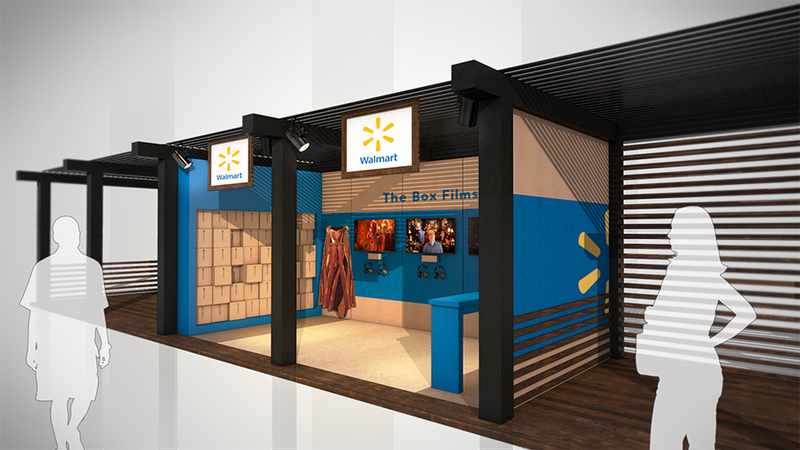 The Brief: Create an engaging, Walmart.com-branded booth environment at a College Year Spring Break event in Los Angeles. Booth to convey excitement and inspiration and be top of mind for students who are thinking about the transition to college. Triplet 3D teamed up with Publicis Experiences to design and render the 20’ x 10’ booth. 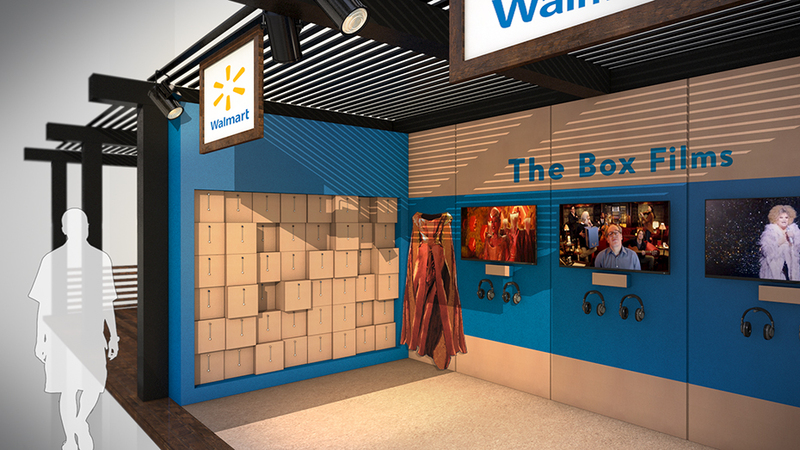 The booth plays on the idea of “what’s in the box’?” with a design that replicates a large-scale box made of cardboard, inviting attendees to step inside and experience delight, surprise, and rewards. 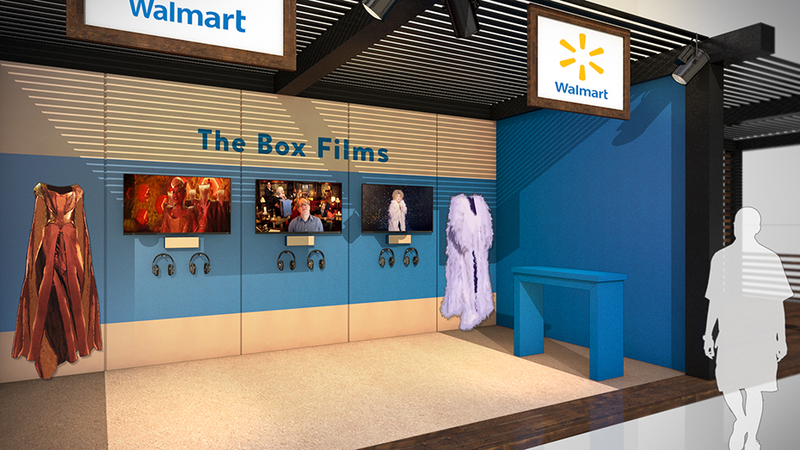 The booth experience includes 3 main components; Box Films/Costumes, Photo Op, and What’s in the Box Game and Prizes.